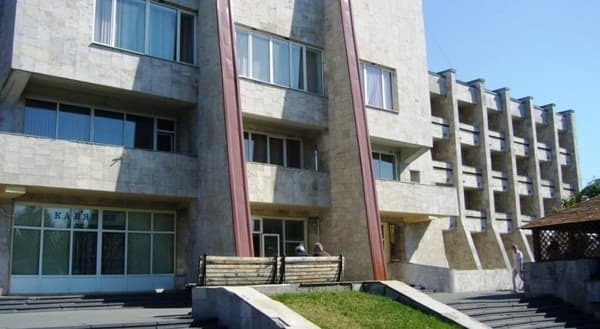 Hotel "Profpsіlkovy" located in the park area of ​​the city Lutsk. It offers comfortable rooms with all amenities. 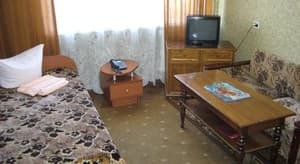 Each room is furnished with a bed, telephone, TV and fridge. In addition, all rooms include a fully furnished bathroom. Throughout the hotel offers free Wi - Fi. It offers guests a restaurant serving European cuisine. Guests are invited to relax in the sauna, massage parlor and swimming pool. 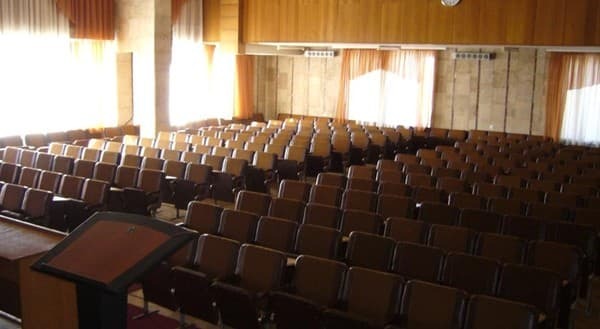 In the hotel room there is the possibility of booking a conference - hall, lecture hall and classrooms with all necessary equipment. In addition, the Internet works - the center for 10 seats. At the hotel is located a private parking lot. 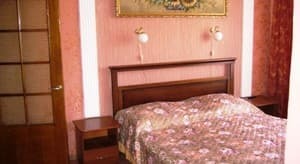 Hotel "Profpsіlkovy" is situated in Lutsk, 5 km from the city center. The distance to the bus station 4 km to the train / railway station - 6 km. The nearest bus stop "Hospital" 50 meters. 3 km away and offers entertainment center "Crank", 5 km - a museum of icons and 10 km "Castle of Westminster." Description of the room: Single comfortable room, equipped with a semi-double bed, desk, bedside table and armchair. Description of the room: Comfortable light room, which is equipped with a bed and bedside table. Description of the room: Comfortable triple room, equipped with three single beds, wardrobe, table, wardrobe and bedside table. 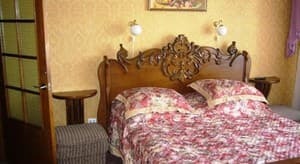 Description of the room: Comfortable double room, which is equipped with two single beds, bedside tables, table and wardrobe. Description of the room: Comfortable bright two-room suite, which includes a living room and a bedroom. The living room is equipped with a sofa, table, bedside table. In the bedroom there is a large bed with bedside tables and a wardrobe. Check arrival: from 12:00 - 13:00 hours. Check leaving: to 13:00 - 14:00 hours. On "Profpsіlkovy" hotel area there is a restaurant, which serves European cuisine. 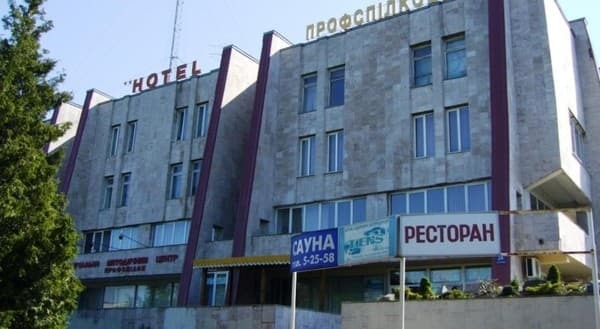 Hotel "Profpsіlkovy" is situated in Lutsk, 5 km from the city center. The distance to the bus station 4 km to the train / railway station - 6 km. The nearest bus stop "Hospital" 50 meters. 3 km away and offers entertainment center "Crank", 5 km - a museum of icons and 10 km "Castle of Westminster." 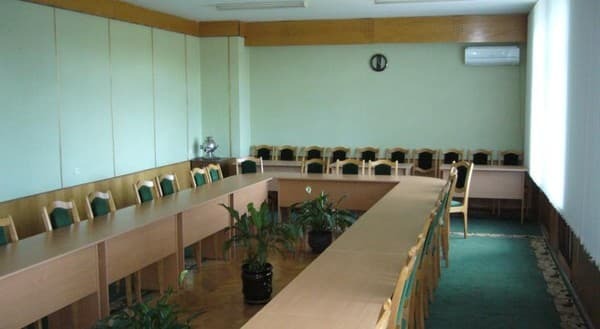 From the hotel "Profpsіlkovy" to the train / railway station and the bus station can be reached by shuttle №2 and №16.